I love the smells of fall in the kitchen. It’s one of my favorite things about this time of year. That wonderful aroma of cinnamon with fall fruits like apples, pears and pumpkin is pure heaven to the senses. One of my favorite apple dishes couldn’t be more simple to prepare. These cooked apples are delicious in a bowl all by themselves (great garnished with chopped nuts), topped on your morning oatmeal or pancakes, or served up with a scoop of frozen yogurt. I replaced the brown sugar in my traditional recipe with coconut sugar. I have found it to be a wonderful replacement for regular sugar in my baked goods. We made some killer chocolate chip cookies with it this week! It tastes just like refined sugar and you can read all about the health benefits of coconut sugar here. The cinnamon apples are even delicious cold. 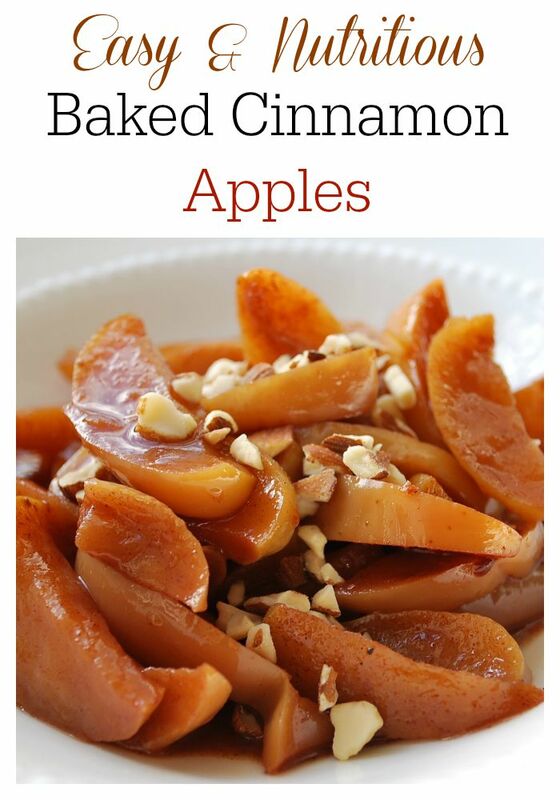 For baked cinnamon apples, cook in the oven at 350 degrees F. for 30-45 minutes, or until apples are soft. This tasty side dish is perfect to serve for breakfast, brunch, or as a side dish with pork, turkey or chicken. Place the apple slices into a large (microwave/oven safe) glass bowl with a lid. Top apples with all remaining ingredients and cover with the lid. Microwave on high for 6 minutes. Stir until well mixed and cook another 6 minutes more. Let sit for 30 minutes and serve cold, or reheat to serve warm. I adore baked apples, Amee, and your look fantastic!